N is for ..... New! Hi everyone and thank you to those who joined in last week - lots of lovely cute mice! On to this week's challenge, which is N for New. This can be a new craft item you have got, a new technique or indeed anything 'new'! 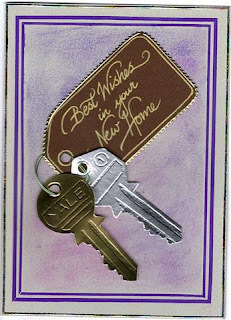 Linda has made this fab New Home card. 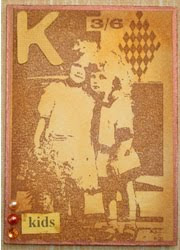 Fifi has used her new Martha Stewart Loop punch for her lovely tag. 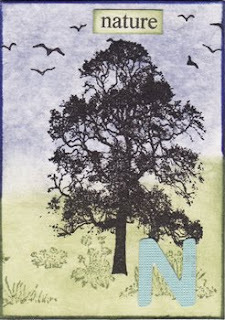 And I have used my new Crafty Individuals tree stamp on my N for Nature atc. M is for ................. Mouse! Hello everyone and thank you to all those who took part in last week's Lilac challenge! Today we are up to M and we are asking you to have a mouse somewhere on your work! 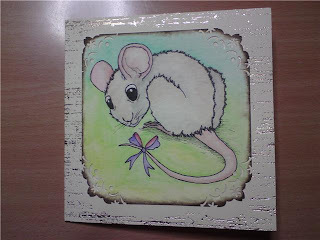 Linda has made another card with one of her fantastic own designs of a cute little mouse! 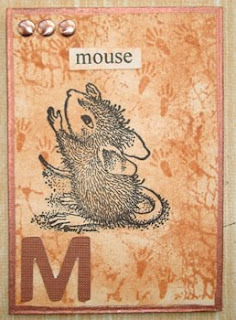 I have made another atc for my A - Z book, using a House Mouse stamp. 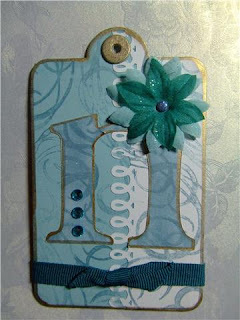 And Fifi has made another fabulous tag, featuring more Linda Luckin design stamps! Hi everyone, and a big thankyou to everyone who joined in with us last week. This week we have chosen L for lilac. 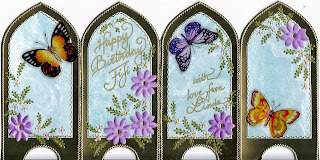 I have made a screen card featuring among the butterflies some lilac flowers. 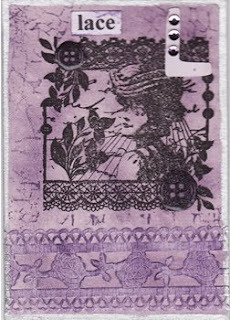 Fifi has made another lovely tag, and she is still managing to use my stamps on each of her tags. Hello everyone, I hope you all had a lovely Christmas and I wish you all a very Happy New Year. Well, we are now back again after our little break, and we are now up to K, which this week is for Kids. This means, that you can either make something featuring kids, like Lesley's lovely ATC, or you can make something designed to give to a kid, like my card. 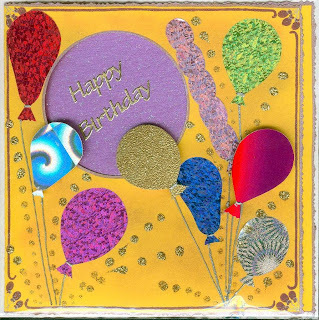 I have made my card by cutting balloon shapes from sparkly card, and adding glitter glue. I have cut a circular aperture to allow the greeting to show through from inside the card.